Reading an article that popped up on my Twitter feed, ‘Compulsory Mental Health Education Is Essential In Schools’, got me thinking about the push for greater mental health education for young people in schools as well as adults, particularly in the workplace. I also started to consider the intervention support and progressive programmes currently espoused in schools and workplaces today, and a school’s responsibility in equipping their pupils with the skills and knowledge going into adulthood. My mind began to boggle. There is a lot of talk about mental health in schools, and links to discussions on appropriate programmes and required funding, but it all just seems quite reactionary. There seems a need for more joined up thinking. Or perhaps I have this all wrong. The currently less trodden path of educating pupils and adults about mental health. Are we educating people about mental health so we can equip them with the competences and knowledge for a healthy living? Are we instead focusing on providing intervention programmes for those in most need? Or, in schools in particular, are we looking to claw back a generation being lost to a cotton wool society by delivering mental toughness programmes? These three questions highlight three very disparate approaches, very disparate indeed. The debate about mental health and young people has never been so fervent, no matter which approach to mental health you undertake. Statistics reveal that roughly 3 children in every classroom have a diagnosable mental health disorder, almost 1 in 4 children and young people show some evidence of mental ill health, and suicide is the most common cause of death for boys aged between 5-19 years (statistics from Young Minds). And I also believe there are associated issues of these statistics being compared to previous generations, rightly or wrongly, and the media statements emanating as a result. Focusing on mental health education in schools seems obvious for the health of a nation when it’s statistically shown that half of all mental health problems manifest by the age of 14, with 75% by age 24 (Young Minds). But how mental health education is programmed into the school curriculum is a very big question; an unanswered one thus far. Schools are approaching mental health education in many difference ways, from writing policy statements on their website but little action in practice, to other schools implementing mental toughness tests using a psychometric measure called MTQ48. Many schools seem to be approaching mental health in their own way, but there seems to be a move towards ‘mental resilience’ and how extra curricular activities, together with academic attainment, are being delivered as part of a whole school approach. The energy and intentions of many schools is commendable, but are the right approaches being taken and where is the education? A similar story can be seen in the workplace. I spent the day recently at Nestle’s UK headquarters in Gatwick, UK, and came across their commitment to supporting their employees improve their wellbeing. Like many other companies they have signed up to an NHS initiative called the Mindful Employer charter, a service that supports people with mental health issues to find or remain in employment. The initiative incorporates employee and line manager resilience toolkits, but this is an intervention programme. Where is the education? Are workplaces responsible for educating adults? I believe so. Equipping all adults with the competences and knowledge about mental health will surely benefit a greater understanding about how, for example, stress and anxiety might manifest, the effects it has on a person, how to recognise such issues in oneself and others at an early stage, and understanding appropriate coping strategies and where to find support if needed. All crucial life skills for young people and adults. Can appropriate education help reduce the need for intervention? Nestle’s HQ houses a lovely gym to support good physical health for all employees, no matter what state their current physical health. All about encouraging an active and healthy lifestyle. Do organisations have something similar in place for mental health? Or programmes in place just for those with an ‘issue’. I was privileged to have been a Director of a Sport in a wonderful secondary school in a previous career. The aims of Physical Education are clear, developing pupils’ physical competence and knowledge to perform in a wide range of activities to support a lifelong active and healthy lifestyle. ‘Knowledge’ is crucial as too the understanding that good health is more than just regular participation in appropriate physical activities. Good health includes both the physical and mental states of an individual and how both can be affected by diet; all three inextricably linked. 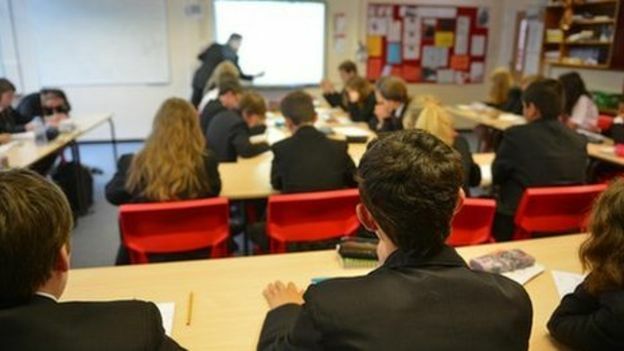 Money will always be an issue, and it seems funding is more readily available for intervention programmes (bbc.co.uk) but little, presently, on educating people. We all know that our health is about our mental as well as physical state of being. Both physical health and mental health have an impact on our performance at work, school and with family and friendships. Perhaps time to push the argument for ‘health education’ to be more formalised in schools and taken seriously in the workplace. We should be aiming for all pupils and adults to be equipped with the physical and mental competences and knowledge for a healthy lifestyle. Place2Be and the ThinkWell project are two of many organisations supporting education programmes in schools and are key support agencies. Perhaps the government will take a lead on developing a health education programme? And maybe formalised and part of the National Curriculum? Appropriate consultation with all agencies is needed if the disparate approaches to mental health in schools is to be just be a momentary glitch in our present day action. Understanding and acting out good nutritional behaviours enables more attentive pupils/adults throughout the day as well as supporting the programmes underpinning good physical and mental health. For businesses, we are not talking about sitting adults down in a classroom for formal lessons. It is about culture, key messages, support and personal development plans. Schools can take a more formal approach and ensure the competences and knowledge of an appropriate health education programme are part of the school curriculum. The biggest argument a school uses to justify a health education programme is in the better exam results they now achieve as a result of greater concentration levels, higher levels of confidence associated with appropriate diets, and an enjoyment for school with increased energy and performance in extra curricular activities. And how this translates so vividly into the workplace with organisations instilling practices that embrace the importance of supporting the physical and mental health of all employees. A Health Education Department in a school oversees an approach that integrates physical and mental health together with nutrition. The goals of the Physical Education lessons remain, but with a focus on how good physical health and mental health are part of a pupil being ‘healthy’, and being healthy is not about how one looks, but how one feels, acts, dreams and aspires. And the department should not rest there; outdoor education is integral and a glue to the component parts. I have a passion for outdoor adventure activities and so I have first hand experience of the benefits of outdoor adventures and mental health that many reports outline (Science Direct) (Aviva). Outdoor adventure activities is so closely aligned to the aims of physical education but benefits from different elements; a programme that provides opportunities for young people to experience, explore and develop skills and an enjoyment for the outdoors. Lifelong physical activity participation and a link to good mental health are key exponents of any outdoor education programme. The Duke of Edinburgh’s Award and other outdoor programmes don’t have to be the main focus of the trendy mental resilience and mental toughness programme for schools, but could form part of the school’s ‘health education programme’. Planned integration for the benefit of all staff and young people. This progressive school still has a thriving PE and Sports department, a DofE staff team giving up their time to deliver the Award to their pupils, a Year 7 induction weekend, a Year 9 adventure week, a school ski trip at Easter, and a school nurse who oversees medical support for pupils, but integrated. There is no need to focus on outdoor activities as the source of mental resilience and mental toughness programmes, particularly with a juxtaposition to enjoyment for some, but could have a place if planned within the school’s ‘health education programme’. How about testing mental health? Not what you think! The school’s health education programme is not there to screen and assess an individual’s mental health, and I have many concerns with such an idea. But testing a pupil’s health knowledge and understanding? Now this has me interested! I was lucky to be part of the Health Related Exercise (HRE) development group at Loughborough University in my post graduate days, and understanding the importance of using the right terms was critical. We’ve seen a move from the term ‘mental health’ having negative connotations itself, to the understanding that we all have it, like physical health, and that we need to take care of it for a healthy life. The move for us all to know that ‘it’s ok not to be ok‘ and the notion of creating opportunities to ‘change the conversation‘ have been instrumental in creating the many debates about mental health in adults. Developing a mental health education programme in schools and companies can help us view ‘mental health’ in the way we view ‘physical health’. For schools, I’d like to see how funds are spent on mental health education and who decides on what is spent, on whom and where. And I’d like to see how schools embrace the changes afoot and tackle the need for appropriate health education for their pupils. Or will I see schools just implement intervention and/or resilience programmes without understanding the need that all guises of mental health in schools need to be integrated. For workplaces, oh how wonderful it would be if organisations of all sizes take a serious approach to the three guises of mental health, implementing ongoing strategies and programmes for all their employees. An integrated approach in schools and workplaces seems sensible, perhaps even obvious, if we want to create and be part of a healthy nation. I’m intrigued to see how the approach to mental health develops in schools and businesses. I’d love to hear your thoughts. Our health is important to us, and so it should be to every child in every school, and every worker in every workplace. Tour learning about mental health will have a positive impact on us all, our families, our community, and even our NHS. Previous Post Going further with the ultimate adventure bike Next Post What is an adventure campsite?